The loss of gesture is a concept of the philosopher Giorgio Agamben, referring to the manner in which the gesture is stolen from humans with the advent of cinema and about “imitate” people. 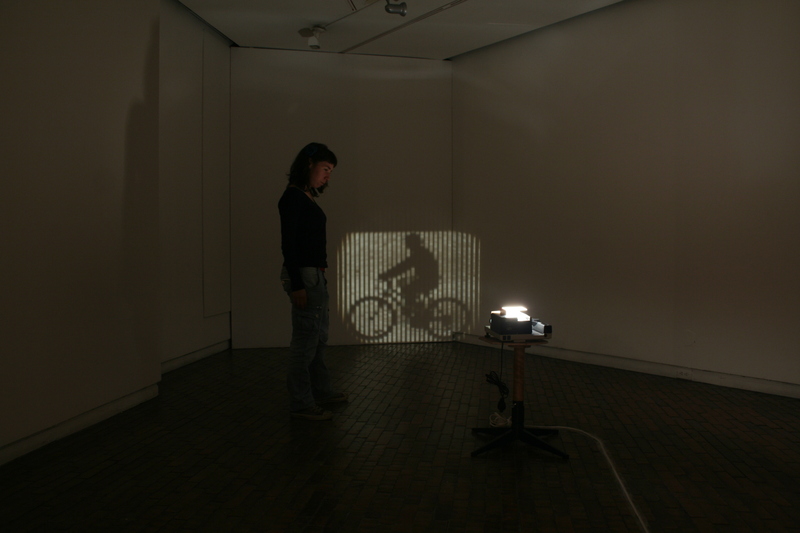 The work presents a cyclist moving around the room thanks to the base that rotates 360 degrees and two slides inside the projector that give the illusion of movement of the cyclist. 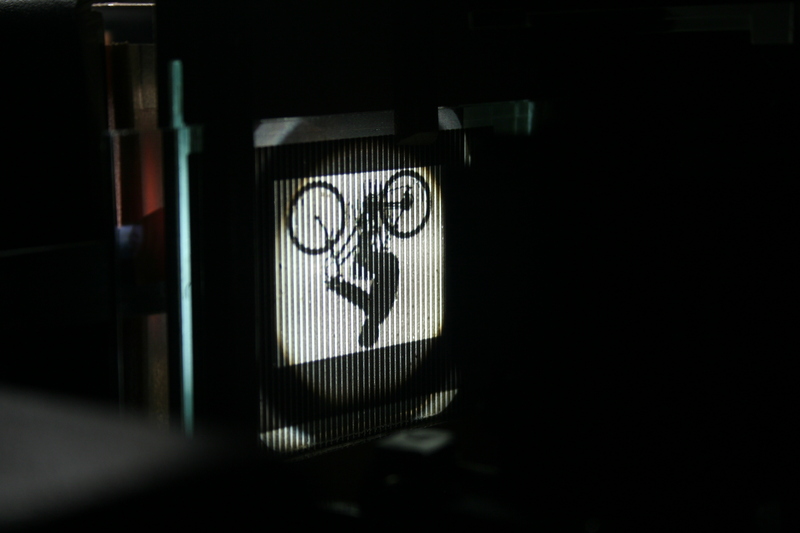 The two slides emulate the actual motion, however, One slide has 8 pictures of the cyclist and the other one some bars that when they move from side to side creates the illusion that the cyclist is actually in the room, upsetting our perception of reality about movement and its simple representation. 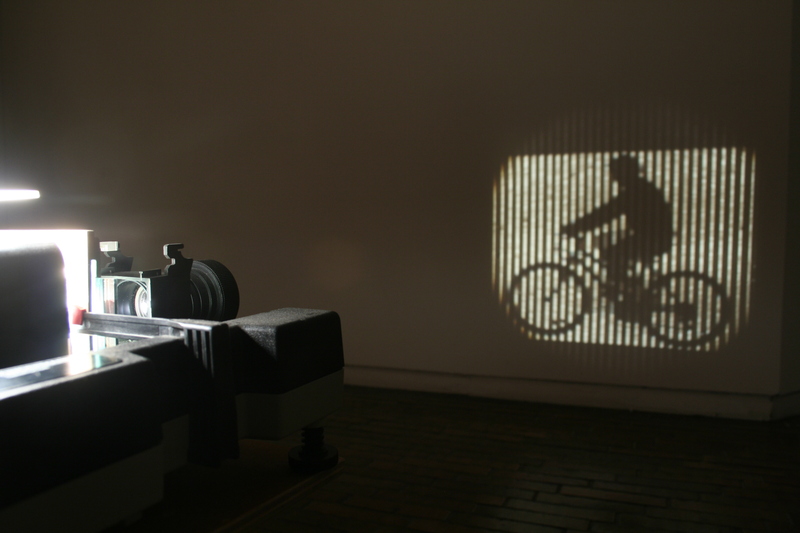 Angelica Teuta is a colombian artist (1985), she works on installations using resources such as light, mechanisms and spaces. Angelica has a dialogue between photography and sculpture, performs hybrids and constructs objects from pre photographic concepts.